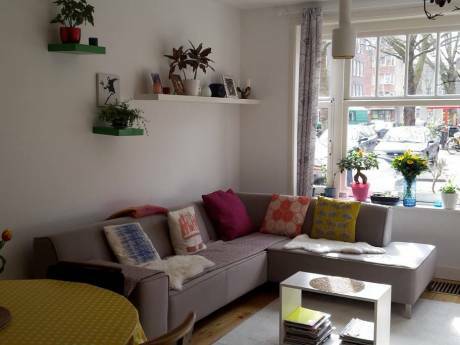 Our home is a typical two room apartment in the neighborhood west of the center of amsterdam. 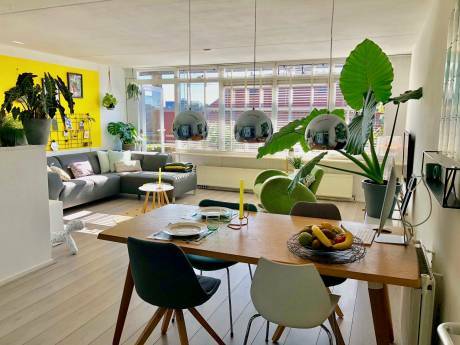 Close to two beautiful parks and sweet cafes with nice view over the canals, and only 10 min away from center. The tram line goes directly to the heart of jordaan, one of the oldest and most vivid places with lovely architecture, markets, nightlife. Good transport line to museumplein (about 15 min) where you can visit the Rijks museum, the Van Gogh museum and the museum of contemporary art. Our neighborhood is safe and the house located in a main street, however double windows ensure the peace of the house.